Governor Ibikunle Amosun of Ogun State has said that the National Chairman of the All Progressives Congress, APC, Comrade Adams Oshiomhole, has in his conducts, exhibited disdain for the interest of President Muhammadu Buhari and the ruling party. The Governor was last night reacting to Oshiomholeâ€™s claims of innocence in the going crisis rocking the party in various states. 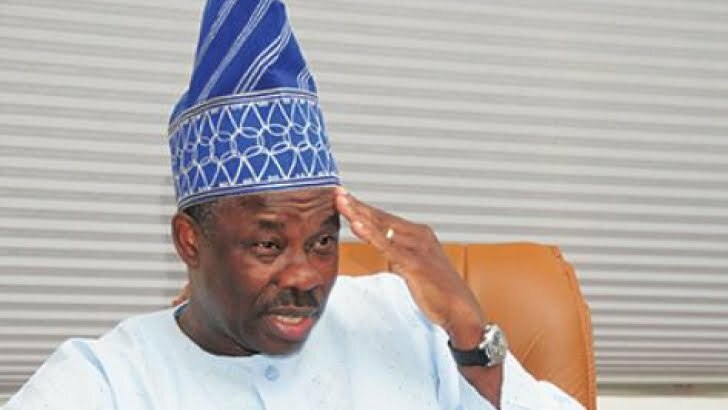 Amosun spoke through the Stateâ€™s commissioner for information, Dayo Oduneye in reaction to Oshiomholeâ€™s claim that he would not sell his conscience. Oshiomhole had on Wednesday mentioned Amosun as one of the governors who were against his leadership. In response to this, Amosun said, â€œWe state without any fear of equivocation that no one, at least not on the side of Senator Amosun, has requested or expected Oshiomhole to sell his conscience. â€œThe least we expect of him is to abide by the rules and guidelines of the APC. Oshiomhole knows, as we know, that in the instance of the last primaries in Ogun State, he has fallen short of the minimum standards of justice, equity and fairness. â€œThe resort to hiding under the false claims about â€˜conscience and integrityâ€™ is cheap. â€œOshiomhole knows that there were no other gubernatorial primaries in Ogun State other than the one that produced Hon. Adekunle Akinlade as candidate. â€œHe knows that the primaries into national and legislative offices were won hundred per cent by those declared winner by the panel he sent to Ogun State to oversee the exercise. â€œHe knows that the shenanigan of unknown court injunctions, unknown appeal panels and all sorts unleashed on the process by him and his cohorts are premeditated schemes executed to deny the members of the APC their true choice of candidates in the elections. â€œOur consolation lies in the fact that in the fullness of time, what remains unknown to the public will become bare and everyone will see Oshiomole and his co-travellers for who they are. â€œIn his conduct, Oshiomhole has exhibited disdain for the interest of the APC and that of the National Leader of the party, President Muhammadu Buhari. â€œSenator Amosun remains committed to his convictions about President Buhari and nothing in the shenanigan of the primaries will change that. â€œFinally, Oshiomoleâ€™s claim that only three state governors are aggrieved about the conduct of the primaries flies in the face of the nation-wide outcry that remains loud, trailing the exercise several weeks after. â€œWe remind him that in any case, justice is not dependent on the number of whom it has been denied. â€œInjustice to one is injustice to all. The overwhelming majority of members of the APC in Ogun State remain unshaken in their rejection of the gangsterism that has been visited on them in the conduct of the primaries.